Prior to filing consumer bankruptcy you should obtain a copy of your credit report. Our New Jersey Bankruptcy Firm Department's practice is to request a list of creditors and then also order a credit report on the client to make sure all creditors are being included. For many people, they do not remember original creditors, collections agencies, and exact amounts owed. You should realize that you are entitled to a free credit report every 12 months from www.AnnualCreditReport.com. This site will not give you your score but it will give you the names of your creditors and what you owe. Prior to filing bankruptcy you want to make absolutely sure that you are listing all creditors and having the credit report will help make sure you have all creditors listed. 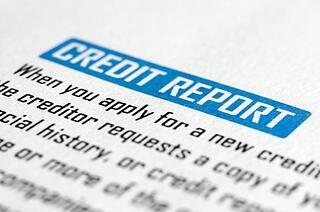 Also keep in mind that some creditors do not report to credit agencies, such as medical debt. Thus, you also want to make sure you provide your bankruptcy attorney with a list of any known creditors. You can also amend your bankruptcy petition to include creditors you may have missed, but this can make the process more costly and lengthen the duration of your bankruptcy. Contact us for help with consumer bankruptcy from New Jersey bankruptcy attorneys today.